Were you ever told to stop daydreaming? Has someone told you that daydreams are a waste of time? Did you know that daydreams are actually good for you? Daydreams spark creativity. Daydreams are a source of motivation. Daydreams give you inspiration. Daydreams can help you get over anger and hurt feelings. Daydreaming helps you to see who you are and what you want. I love to daydream. It allows me to see where I am now and where I want to be. 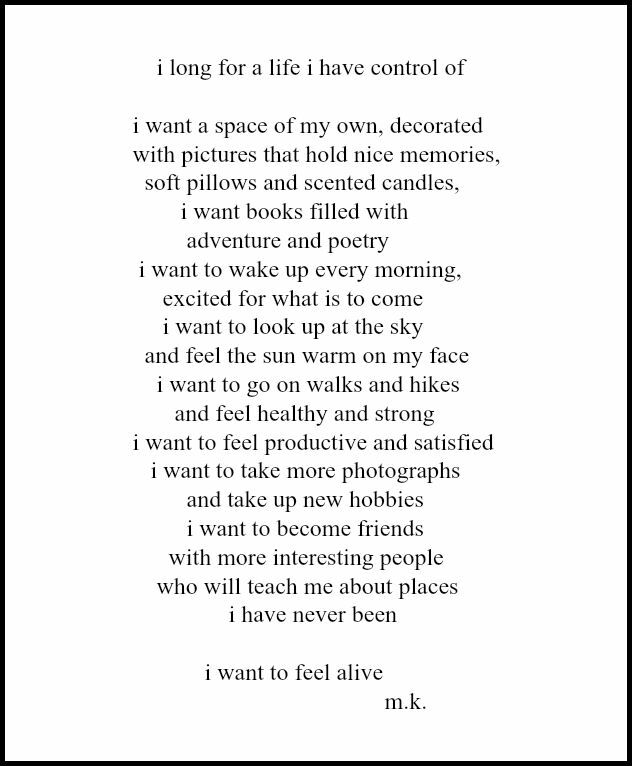 I recently came across this old poem and it was as if the person who wrote it had stepped into my daydreams. Do you daydream? 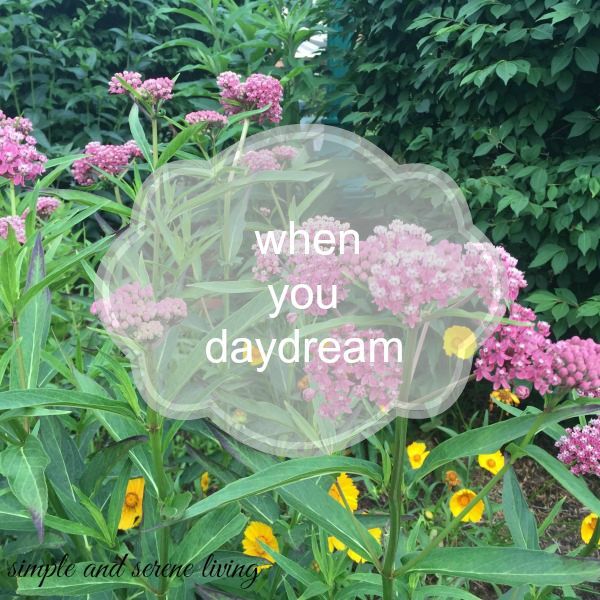 When you do daydream what do you see? P.P.S. Find more Simple and Serene inspiration here. Hello Laura, As a new member, I'm visiting from our Aspiring Bloggers group. I used to daydream a lot when younger, it was my time to slow down and quietly rest my mind. It's still something I do on occasion for it's when I think about, and plan things pleasant to me. Usually it's garden planning for that is what brings me joy and I can see in my mind's eye what I would do differently. Hi Judith. We are so happy to have you in the group. Daydreaming about gardening sounds wonderful to me. Especially in the cold winter. I was scolded as a child for daydreaming too, Laurie. You have created such beautiful works of art through your daydreaming. when I'm engrossed in gardening, and my brain is on autopilot, that's a form of daydreaming. It is, Diana. The garden is a wonderful place to daydream. I do daydream. It's a restful, rejuvenating time ... twilight is a favourite time of day to be still and listen, to let thoughts play with quiet abandon. Thanks so much for a lovely post again, Laura. Enjoy being in your space. How wonderful, Diana and good for you for telling your children to daydream. Imagining helps in the development of children's brains. I'm a big daydreamer and always have been. To this day, I still remember my teachers (and it started in 1st grade) writing in the notes on my report card about me daydreaming too much. As a child, I was always ashamed and embarrassed by that. No one ever told me it was OK to daydream or asked what I was daydreaming about. I love the poem you posted. It fits very well with my life, too. Yes, I'm a daydreamer. And I absolutely love the old poem you found! Lately my daydreams are centered around my house and what I will do with it once our daughter moves into her own home. It's time. She's been here a number of years following her divorce. I'm happy for her and happy for us! Isn't that poem wonderful? I bet you are having wonderful daydreams about your house, Cheryl.Good luck to all of you. What a wonderful poem! yes, I love to daydream. I did it A LOT as a child! Daydreaming is when creativity gets a chance to grow and flourish in our minds...and thank goodness we get to daydream now a days without anyone hanging over our heads telling us to stop. Right?